Monday saw the beginning of a new Supreme Court term that's slated to tackle feminist issues, according to the New York Times, ranging from abortion rights to immigration. SCOTUS' last term was marked with a number of feminist victories, most famously, its landmark ruling in favor of marriage equality in June. The Supreme Court's last term also saw victories for President Obama's healthcare law, which provides a no-copay contraception mandate that has granted "millions of Americans access to more affordable birth control options," according to Feministing, as well as upholding housing anti-discrimination laws and voting rights, all arguably feminist victories. Last term's liberal victories were arguably facilitated by what the Los Angeles Times identified as "conservative overreach." Pushing the Court to hear cases on polarizing issues without definitively having the support required to win was a conservative gamble that may have led to those conservative losses. Regardless, conservative justices garnered a fair amount of Supreme Court victories themselves, successfully voting last fall to hear an appeal brought by the coal industry and Republican states that opposed the Obama administration's plan to combat toxic air pollution. This time around, the Supreme Court is expected to rule on the high-profile critical feminist issues of abortion rights, affirmative action, marriage equality, teachers unions, and immigration. Despite the court's fairly liberal "drift" last term, its approach to this fall's term remains ambiguous. The Supreme Court could hear its first major abortion case since 2007, according to The New York Times. Back in September, abortion providers from Texas asked the Supreme Court to reverse an appeals court ruling on abortion clinics that would leave the large and highly-populated state with only 10 facilities after a law required abortion providers to meet strict regulations that had already forced dozens of clinics to close, the publication reported. These regulations include requirements that doctors performing abortions have admitting privileges at nearby hospitals and that abortion clinics meet standards for hospitals or surgical centers. In a letter to the Supreme Court, providers stated more than 60,000 women in the state sought abortion services each year, and 10 clinics simply would not suffice. In recent years, legislative attacks on abortion clinics have become increasingly frequent across different states, according to the ACLU, and these attacks should frankly be recognized as the veiled opposition to women's reproductive rights. Limited access to abortion clinics potentially leads to unsafe and illegal means of terminating pregnancies, and literally puts the lives of women at risk. In June, although most regulations on Texas abortion clinics remained, the Supreme Court agreed to block certain aspects of the law until the justices decide to weigh in. Numerous religious institutions and schools filed lawsuits concerning Obamacare's contraception requirements, and the Supreme Court currently has eight petitions on deck. According to Politico, religious institutions claim "the [Obama] administration's process for allowing religious nonprofits to opt out of the contraception requirement requires them to violate their religious beliefs." SCOTUS is expected to indicate which challenges it will listen to within weeks. Religious exemptions are often cited as a means to deny women healthcare options that they have the right to regardless of their religions or the religions of their employers. According the The New York Times, in its next term, the Supreme Court will once again work to resolve a conflict concerning the constitutionality of the University of Texas' affirmative action program, initially brought to the court two years ago by rejected applicant Abigail Fisher. Two years ago, opponents of affirmative action hoped the case would limit preferences for racial and ethnic groups at government-run schools, but Justice Anthony Kennedy won the support of six other justices upon claiming college diversity programs were constitutional "under a standard of strict judicial scrutiny." The Supreme Court's ruling could deeply impact how public colleges approach the admissions process and could potentially undermine previous decades of racial disenfranchisement that seem to become increasingly erased from collective memory. The Supreme Court is expected to rule on Evenwel v. Abbott, a case that could potentially limit Latino political power and shift political influence from urban ethnic areas to predominantly white suburbs. The case seeks to determine whether state legislative districts should be distributed based on counts of all residents or counts of only eligible voters. Counting only eligible voters would undermine numbers of illegal immigrants and children and shift power away from urban areas that tend to lean Democratic toward more right-leaning suburbs. Essentially, the case could easily be interpreted as a ruling on whether or not illegal immigrants can be counted as human beings. 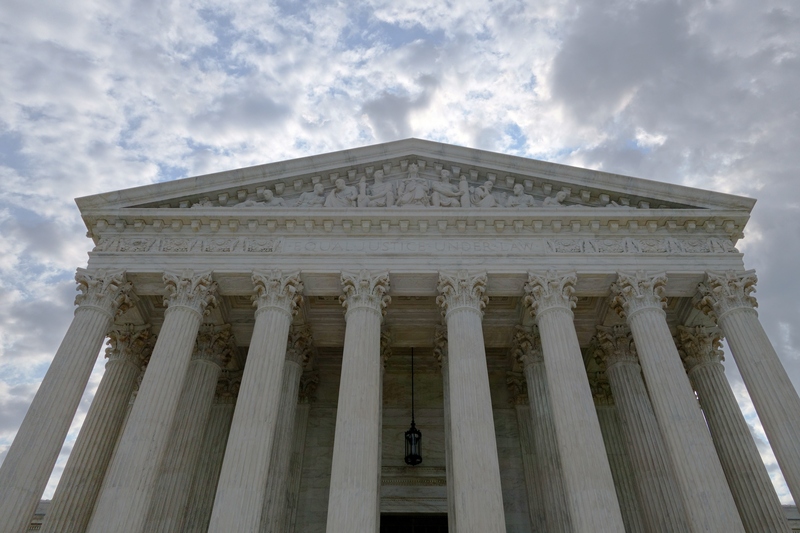 The Supreme Court is also expected to rule on Friedrichs vs. the California Teachers Association, and it's decision could drastically affect the financial standings of public-employee unions. Should the court rule that teachers don't have to pay fair-share fees for unions, they could lose negotiating power and influence without the dues from members that sustain them. Siding against California teachers could result in "diminished job security, fewer benefits, and lower wages," Slate reports.